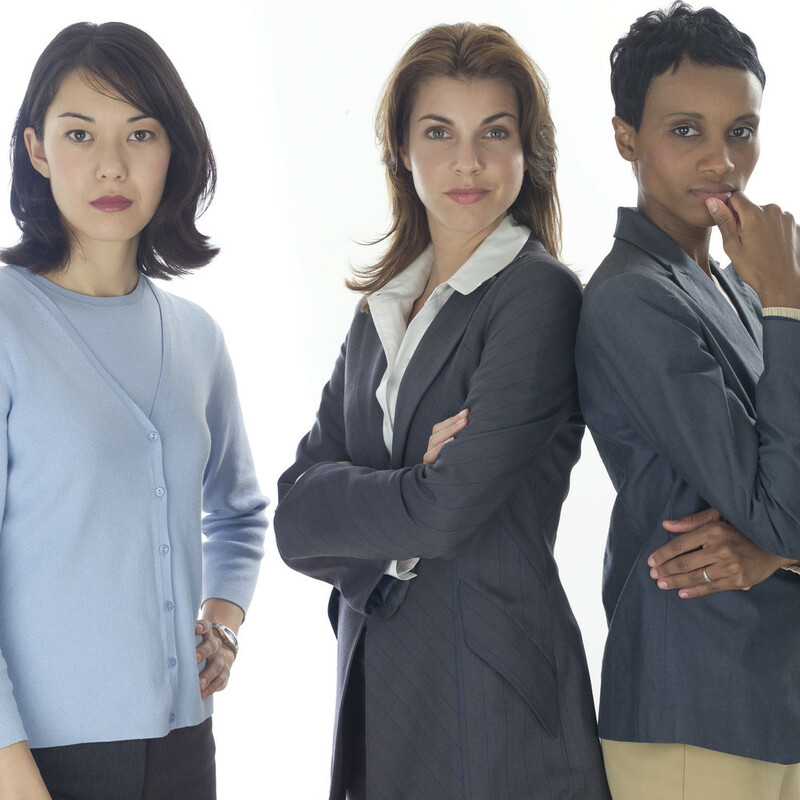 Topic: Why are 80% of consumers female, yet less than 6% of retail leadership roles held by women? Devoting a decade at Accenture and Acquity Group, Kelly spent a majority of her career focused on connecting people, cultivating women leaders, and building business development strategies in management consulting. Starting in recruiting, Kelly worked her way through vendor relations, business development, and alliance partnerships focused on marketing and commerce business problems in both B2B and B2C verticals. Kelly is passionate about cultivating leaders and is currently focused on assisting women in key executive roles in business. 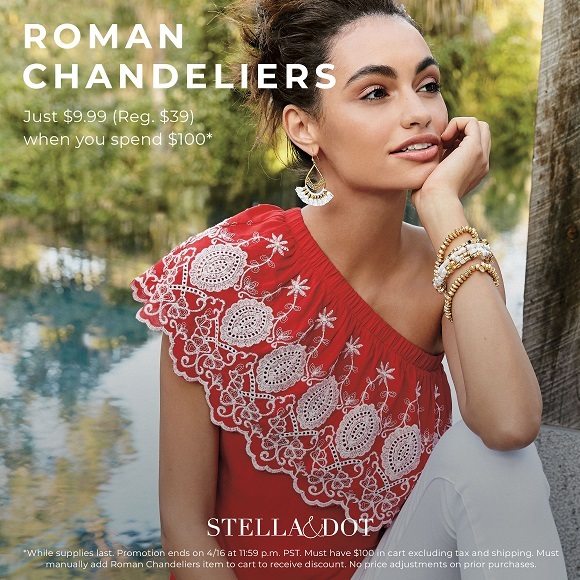 Recently awarded the Women of Influence 2016 from Chicago Business Journals, Kelly has since then launched the Women to Watch in Retail Disruption program in January of 2016 and expanded the program to Australia. 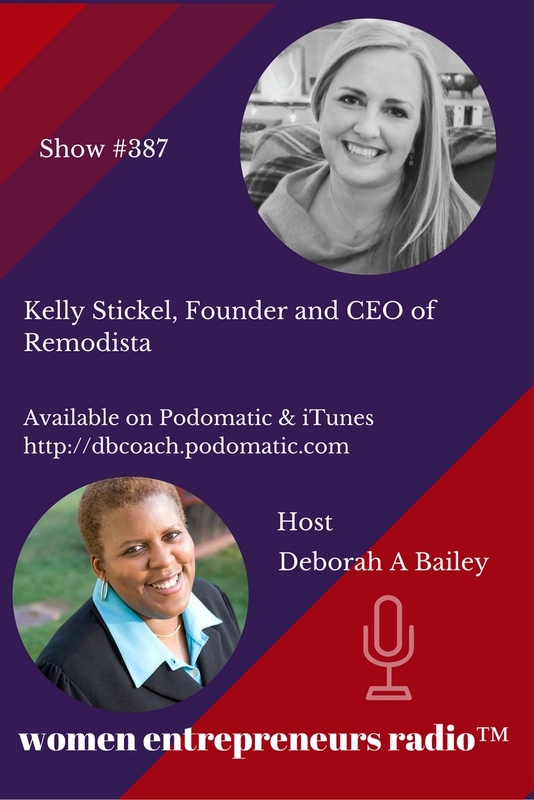 Kelly is very proactive in the communities of Chicago as she also is on the IoT Council for Illinois Technology Association, speaks on topics around the community such as Internet of things and retail, as well as, the importance of women in executive roles, and writes a monthly column on retail disruption and the women to watch for Bizwomen. A graduate from University of Missouri with a degree in Political Science. Kelly is an accomplished mosaic artist and teaches art classes in her local Chicago community. To learn more about Kelly Stickel and her brand you can head to: www.remodista.com. So what is behind this tiny little word? Well, most of us are people pleasers at heart. We don’t want to offend anyone or hurt their feelings. This can be traced back to a deeper fear of not wanting to be alone – of not wanting to be “shunned” from the group. Essentially being unloved. Who the heck wants that??!! We all have a deep desire to connect and be loved at a core level. We want to be accepted into the group, and so we don’t always say how we feel and definitely avoid saying no. Well, we end up saying yes to whole sh*t ton of things we don’t really want to be doing. We then get resentful and overwhelmed with everything we have going on. In a weird way it almost proves we’re unlovable – we’re too busy and stressed to give anyone our best. So how does this show-up in your business? Well, if you don’t like saying no and have a hard time with it, how are you going to accept it from someone else? It makes you feel terrible to say no, and you therefore don’t want to feel the same when someone else tells you no. If you can’t say no then you won’t make sales calls because you’re afraid to hear no. I had to dig out some really deep stuff around being told no in sales conversations. It related back to feeling abandoned after my Mom and Dad divorced when I was 4 –years old!! Nuts right?! But this stuff feels real. It leaves a mark, and as kids we’re making some pretty important decisions about ourselves that are accepted into our minds unconsciously. The issue as adults is that our subconscious mind is the underlying operating system for all of the decisions we make. So if I decided when I was little that I was unlovable because people leave me, what kind of decisions do you think I’m making in life from that lens? Not great right? The good news is that most of us also have a lot of empowered beliefs in there too. 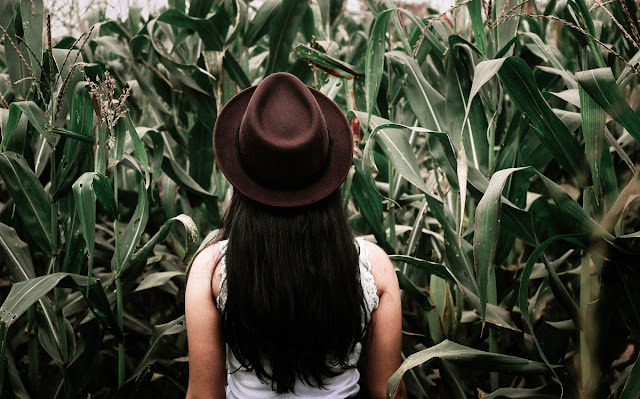 The heavy stuff doesn’t tend to come to the surface and present itself as a potential block until we are really putting ourselves out there – like, ahem, running a business…. Not being able to say no shows-up in all levels of business. I just noticed this the other day with a woman who has achieved great success in her business. She is having trouble with sales – in terms of making sales and training a team. It came as no surprise that she has a hard time saying no to people. She is afraid of it, and it’s therefore showing-up in her business too. 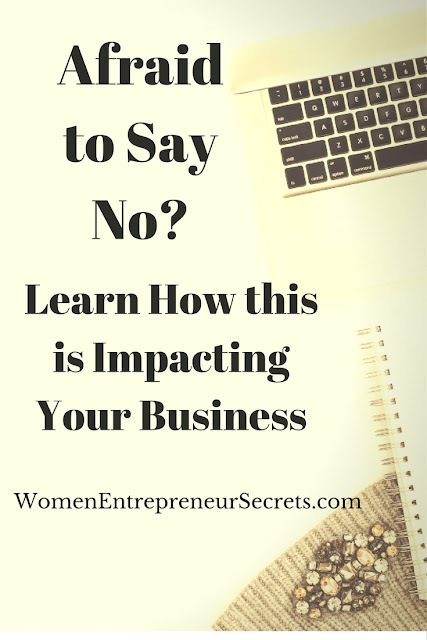 The subconscious can be sneaky – take a hard look at what you are feeling around saying no in both your personal and business life. All areas are connected, and where there’s trouble in one area you can guarantee there’s trouble with it in another area. *Create a sentence where you are clearly saying no thank-you. Use language that is clear and respectful. *Keep in mind most people are just looking for an answer from you and you don’t need to justify why you’re saying no. That is usually ourselves feeling like the need to justify it. We’re again people pleasing and trying to avoid hurt feelings and being shunned form he group deep down. *Say your sentence and then pause. Count to 10 in your head if you need to. Allow the other person the space to respond. Again, most people are usually looking for an answer. 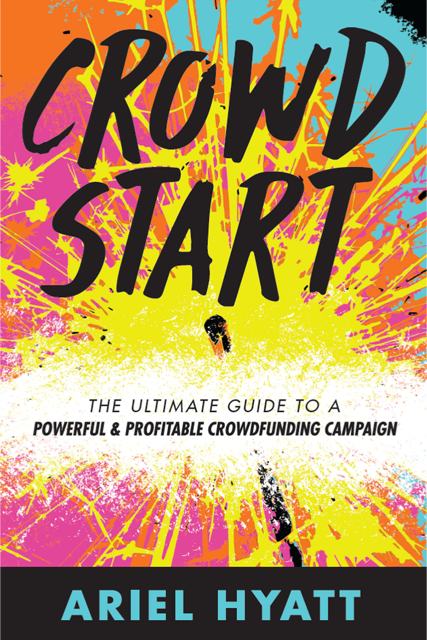 Crowdstart:The Ultimate Guide to a Powerful and Profitable Crowdfunding Campaign is a complete guide on how to execute a successful crowdfunding campaign. The overall purpose of the book is to make sure whoever reads it is as prepared as possible to win at a rewards-based crowdfunding campaign. 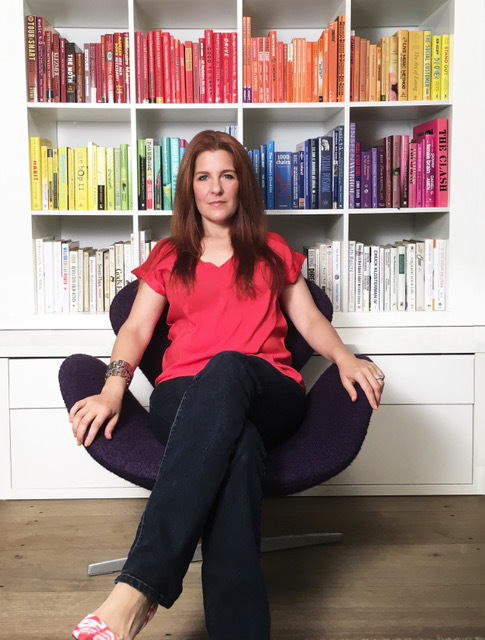 Ariel Hyatt has been a fierce entrepreneur for more than 20 years and runs Cyber PR, a dynamic social media & content strategy company based in Brooklyn. 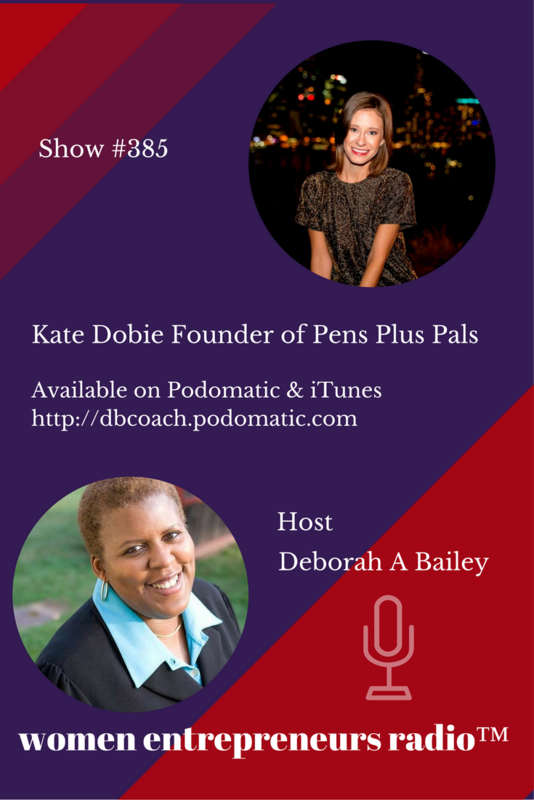 Her agency places clients on blogs & podcasts, establishes their online brands, and coaches them to create influence. She has spoken in 12 countries to over 100,000 creatives and entrepreneurs and is the author of four books on social media for artists, her newest book Crowdstart comes out on October 25, 2016. Want to rock a crowdfunding campaign? You're in luck! 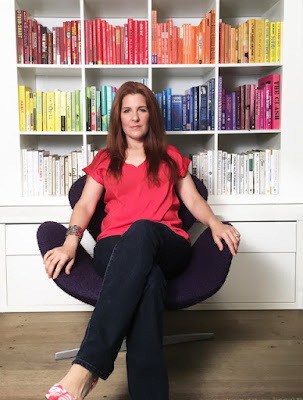 The game changer that allowed author Ariel Hyatt to take her brand and business from $500K to $1 million per year was raising money specifically, a crowdfunding campaign which raised over $60,000. Ariel already had a successful and profitable business, but it was the extra cash that helped her put strategies into place and create products that made a massive impact. In CROWDSTART, Hyatt has culled everything she's learned about running a successful crowdfunding campaign and coaching others do the same. 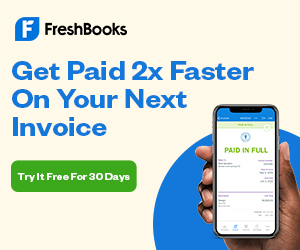 The book outlines includes killer strategies, sample emails, social media posts and a day by day action plan that takes you through your entire campaign. CROWDSTART really is the ultimate guide. Why Do Companies and People Crowdfund? Of course, cash is the main reason why crowdfunding is popular, but there are three other critical reasons as well. It gives fans (customers) a rich experience. You may not know it, but you probably have fans willing to give you a lot more than they’ve ever had the opportunity to give. For many, crowdfunding offers not only an opportunity to create an experience around the launch of a new product or idea, but as the crowdfunding campaign progresses, it becomes less focused on money and instead transforms into something that involves people on an emotional level, uncovering fans and a community you may not have known existed. By the time the campaign ends, your contributors are invested in both the idea and the journey, increasing their loyalty levels to “superfan” status. This opportunity didn’t exist before crowdfunding. It proves market worth/demand for an idea. For a creative entrepreneur looking to seed a new idea, crowd- funding offers the opportunity to do a smaller scale test of a proposed concept. A successful campaign can be used as a sample test to prove the market demand for an idea, which can then be leveraged into larger-scale funding by a bank or a venture capital firm. It achieves conceptual innovation on a large scale. Because it allows creative and innovative ideas to be tested and proven, it is forcing innovation in everything from the way that companies and creatives are being funded, to the way products are being released, to how companies are continuing to evolve their products. You could see this in action with the Pebble Watch. Apple, Samsung, and Google (among other tech companies) all were dragging their feet when it came to evolving the smartphone/apps model into something even more accessible (i.e. “wearable tech”). In 2012, the Pebble Watch beat ALL of these companies by being first to market, pre-selling 275,000 units through a Kickstarter campaign (they also raised more than $10 million). Now all of the major companies have released their own versions of the Pebble Watch because it proved market worth and demand. The lesson: you don’t need the next big idea to have a successful crowdfunding campaign. All you really need is: (1) an idea or a project that you are passionate about; (2) a group of people to share your passion; (3) a campaign that will engage the emotions of your crowd enough so they will happily give you money. I’m not going to tell you what kind of project to crowdfund because people have tried to raise money for almost everything under the sun. I hope that you are reading this book because you already have a great idea, cause, project, or desire. We will take a deep dive into both your crowd, and your campaign. When you get those two pieces in place, you’ll be well on your way to successfully achieving your goal. 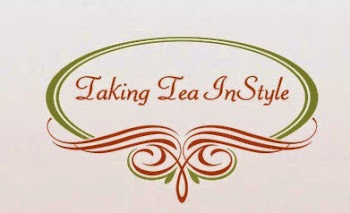 Deb Bailey: Welcome to the Secrets of Success blog, Ariel! Please share what your book is about. Ariel Hyatt: Thanks for inviting me, Deb. In Crowdstart I share a specific, step-by-step guide to how to plan and execute a successful crowdfunding campaign. In it I walk readers through exactly how to prepare for and execute a 30 day crowdfunding campaign and I explain how to identify your tribe and get your online house in order before you attempt to raise money. It's important to understand the science behind crowdfunding campaigns. There have been thousands of them and there are some important statistics and techniques to understand which will give you clarity, so I start with some facts. Here is a great statistic to know: crowdfunding campaigns that get to 30% of their goal within the first week of launching are much more likely to succeed. This means you need to make sure you have some guaranteed funders identified way before the first day of the campaign so that you can complete your first week at 30%. 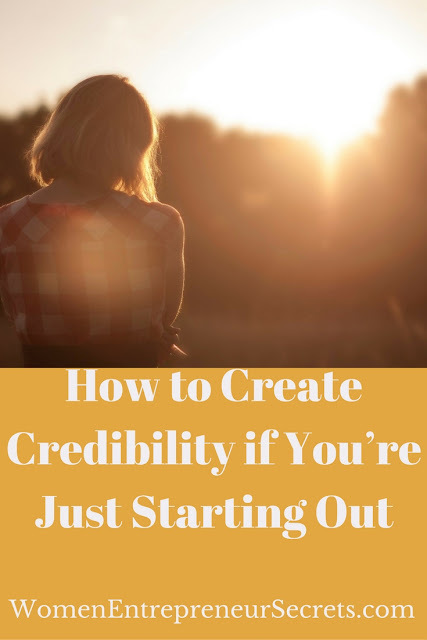 Coming out with a fully-funded campaign is obviously the goal and having this crucial piece of information will have you preparing and behaving in a much more effective way during the early days of your campaign. This and many more insights are provided to set readers up for success. Deb: It's extremely important to understand the strategies behind setting up a successful campaign. Is that what inspired you to come up with the idea for this book? Ariel: When I launched my own crowdfunding campaign I knew it would be challenging but I had no idea it would be as hard as it was! It was one of the most challenging things I've ever done in my life. After raising over $61,000 in my own crowdfunding campaign, I felt deeply compelled to share what I learned. I did a good amount of research and found many helpful books and articles on crowdfunding but there was not a step-by-step guide that walks readers through exactly what to do during a 30-day campaign. As a social media strategist and digital publicist I also knew that a key point is that in order to reach your financial target, it's necessary to start building rapport and an audience online way before your campaign launches. So, this book includes a social media and online presence tune up to get you prepared and a guide on how to get PR for your campaign (http://arielhyatt.com/blog-post/how-to-get-pr-crowdfunding-campaign) to increase awareness. Deb: Who do you think will benefit most from reading Crowdstart? Ariel: Crowdstart is a comprehensive, step-by-step guide on how to plan and execute a successful crowdfunding campaign. It also is a guide to help you remove your doubts and fears (which will come up during the process!) 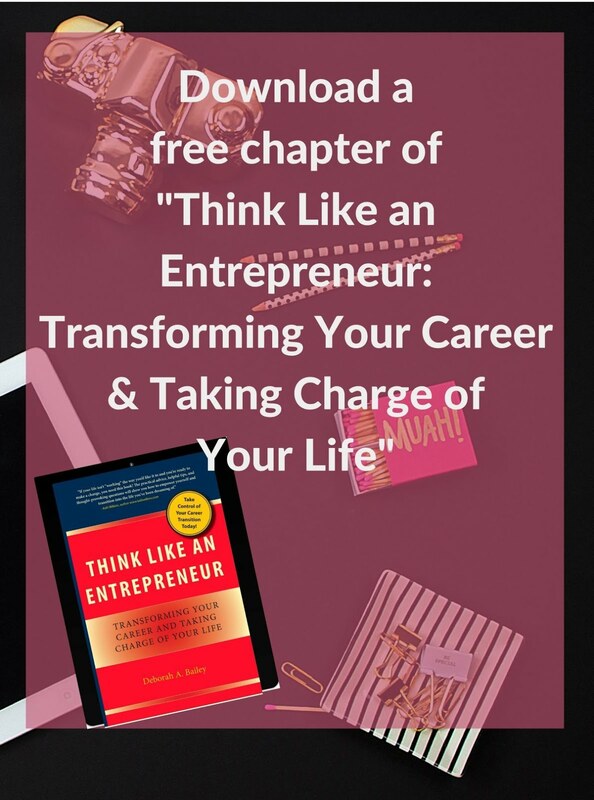 This book is perfect for entrepreneurs, start-ups, small business owners, authors, artists, musicians, non-profits and anyone working on a rewards-based crowdfunding campaign. Deb: There are so many people who want to write a book. They have information to share, but they're reluctant to move forward. Any tips to share with someone who wants to be published? Ariel: My advice - don't wait for anyone to publish you - go the self publishing route at first. One of the smartest things I have ever done on my career was to publish my own book. Back in 2008 I self-published Music Success in 9 Weeks and it changed my whole career. Having a book (even if you don't sell million or even thousands of copies) establishes you in ways you can't dream of until you do it. 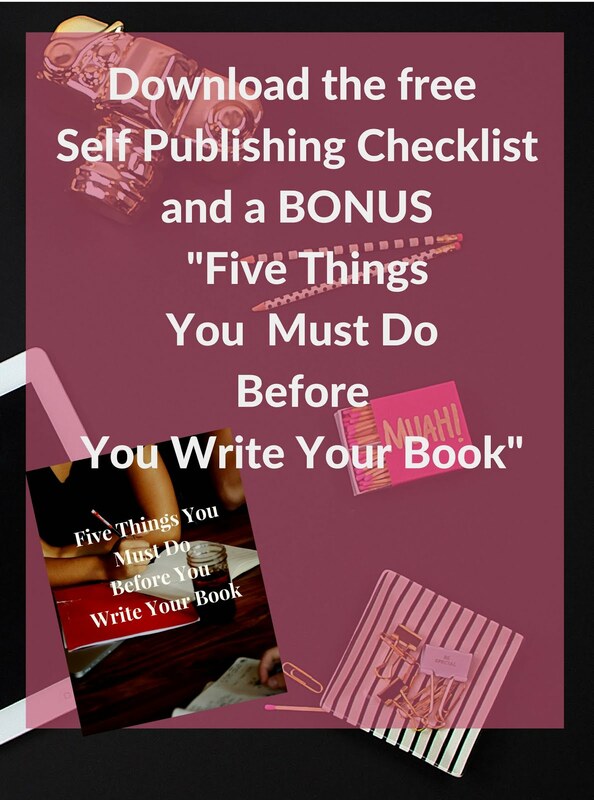 Of course half of the strategy around self-publishing is figuring out what you want to do with the book - do you want it to help get you speaking or consulting gigs, do you want it to help establish you as an expert in your field or do you want to help more people that you ever could without a book? Whatever the reasons (and I suspect that you will have a combination of these three) a book is a fantastic calling card. And if you prove yourself through self-publishing you will eventually get a publisher on board. Deb: Great answer! So, what inspires you to do the work you do? Ariel: I want to help everyone succeed at crowdfunding. I gathered my intel and collective experience from coaching many clients and friends through their crowdfunding campaigns as well as raising more money than I expected in my own campaign. When I realized first-hand how many challenges arise and how involved crowdfunding really is, I became inspired to help others avoid the mistakes I made and help them use the systems I devised to achieve my own crowdfunding goal. Ariel: Crowdstart is available on Amazon. Deb: Thanks so much for stopping by, Ariel! Please share your website and social media links! Ashley Northington is an award-winning marketing communications professional and entrepreneur. She is the founder and agency director at DENOR Brands & Public Relations, a boutique public relations, digital marketing, and brand strategy firm in Nashville. She is also the founder of #LiveYourBrand, an online community for emerging and aspiring entrepreneurs who want to move beyond the ideation phase and take massive action to turn their business dream into a reality. The host of The #LiveYourBrandShow, Ashley is committed to empowering and inspiring entrepreneurs to stop procrastinating and kick their businesses into overdrive. 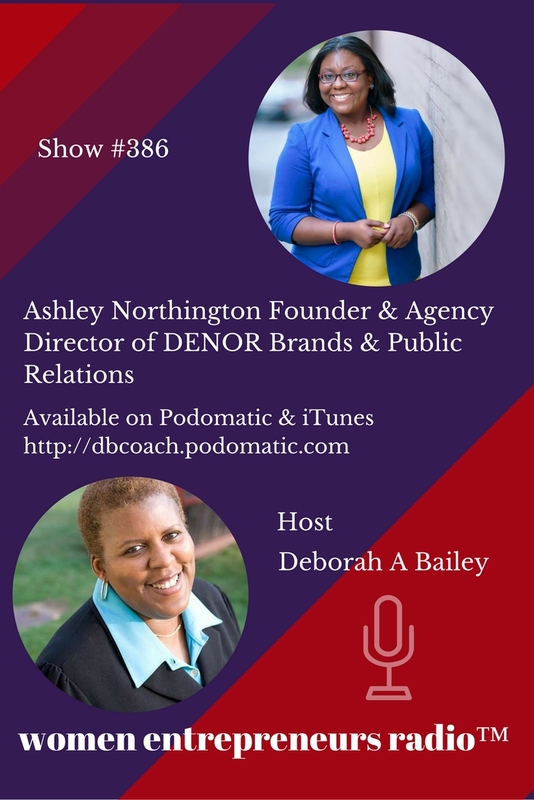 Through her work with DENOR, Ashley and her team are focused on helping people, brands, organizations and companies share the right story to the right people at the right time on the right platforms. Her firm specializes in blending media and influencer relations with thoughtful digital marketing strategies to create powerhouse brands that make the world a better place. 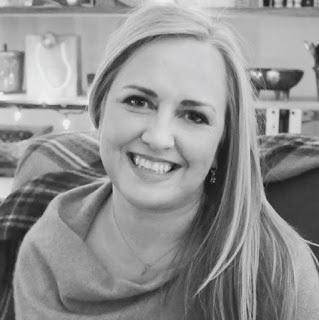 Ashley has been featured by numerous publications including The Entrepreneurial Mind, Tennessee Tribune, Tennessean, Pulling Purse Strings, Common Cents Radio, The Connect Magazine and more. 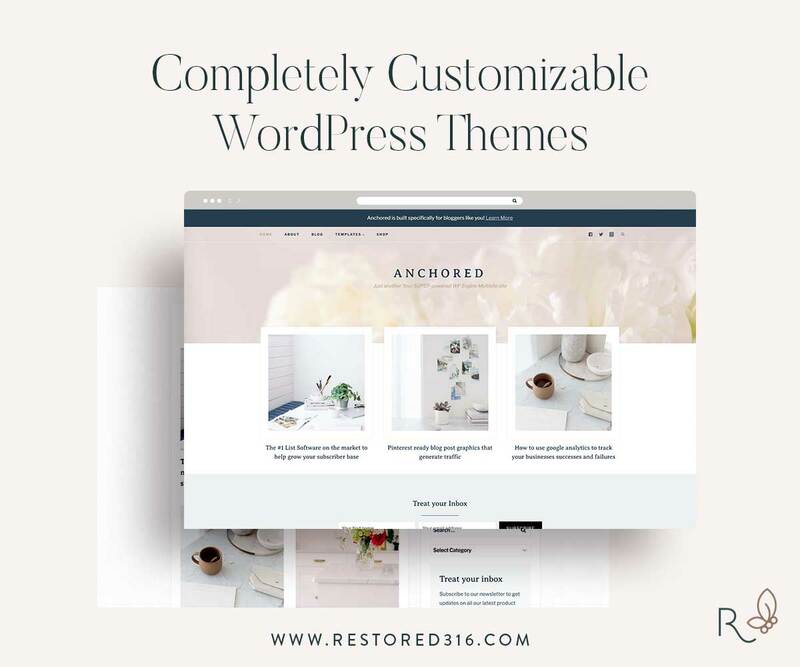 Her work has been featured by publications and outlets nationwide including New York Times, Huffington Post, HuffPost Live, Aspire 360, Clutch Magazine, Los Angeles Times, NPR, Boston Globe and more. Ashley is a proud graduate of Tennessee State University where she earned a Bachelor of Arts degree in English and a minor in women’s studies. She also earned a Master of Public Administration with concentrations in public policy and higher education from Louisiana State University. Jason Navallo is a career advisor, executive recruiter, and author. He has a B.B.A. in Finance from Baruch College's Zicklin School of Business and lives in New York City. 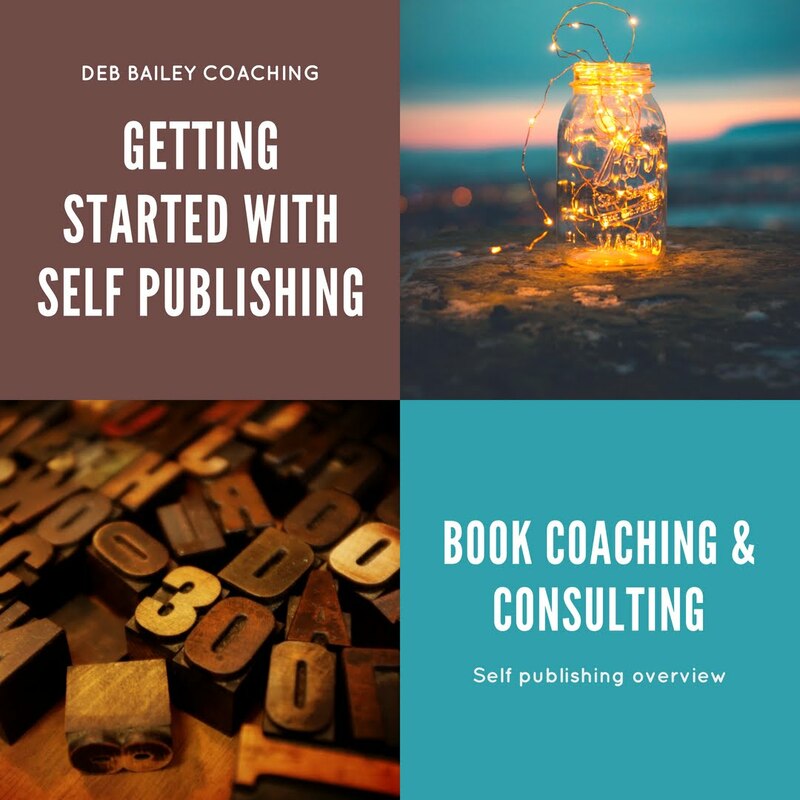 Deborah Bailey: Welcome to the Secrets of Success blog, Jason. Please share what your book is about. Jason Navallo: Glad to be here, Deb. 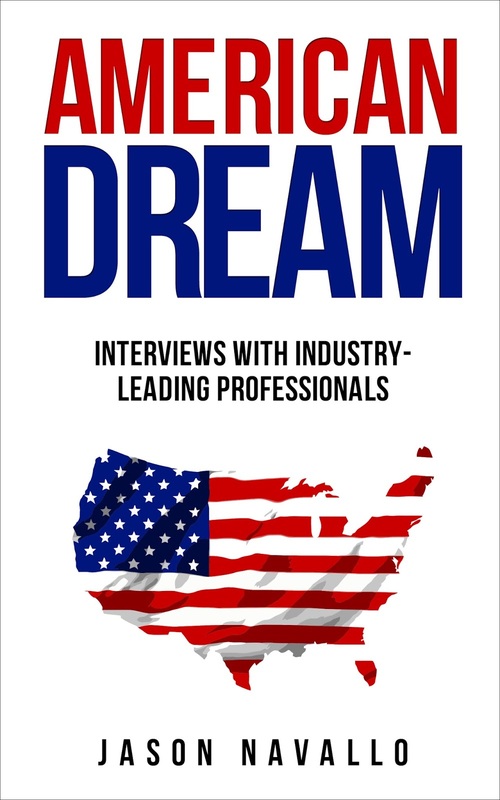 This book features in-depth interviews with six of the nation's top professionals in the Financial Advisory, Real Estate, Sports, Homecare and Medical Staffing, Hospitality, and Translation industries. The interviews are primarily focused around their early lives, and the habits they've formed that have contributed to their success, in business and in life. Deborah: The interviews have a lot of in-depth information. Any challenges in writing this book? Jason: Finding the right people to interview was definitely the most challenging part. It required a lot of research, because I wasn't just looking for any successful person to interview. That's easy. I was targeting specific industries, and I was targeting the top professionals in those industries. That narrowed it down to just a few names. Jason: I like to write at night. I find it to be the best time for me to concentrate and think clearly. Jason: For me, it's about knowing that every day, somewhere around the world, someone's day can be uplifted by something I've created. That my writing can have a positive impact on other people's lives. That inspires me, and that's why I write. Deborah: I think this book is very motivational for entrepreneurs. Who do you think will benefit most from reading it? Jason: I think anyone can benefit from reading this book, even if you're not someone looking to have a very successful career. I believe it gives a fresh perspective of things, and provides you with tips on how to lead a balanced and rewarding life. Deborah: That's great, Jason. Where can people find your book? Founder Kate Dobie was born and raised in a small southern Minnesota town where her dad was the local postmaster. She spent many hours after school and on Saturday mornings shuffling around his mail room. This foreshadowing aside, Kate has had diverse and dynamic professional experience which took her from that hometown of 500 people to traversing the largest cities and interacting with the biggest brands on the planet, including two and a half years studying Mandarin in mainland China and five years working for Major League Baseball in Australia. As the first female General Manager of an Australian baseball franchise in national history, Kate has an immense passion for seeing women succeed in business and hopes to serve the Pens Plus Pals community with the same enthusiasm and dedication she brought to the international sports industry. 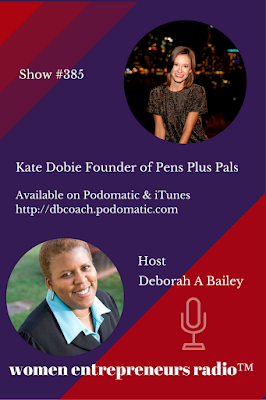 Pens Plus Pals is a modern matching service for pen pals. Using the best bits of modern technology, P+P reverse engineers to match aspiring pens pals across generations and geographies and facilitate one-to-one tactile communication. Welcome to Part 2 of our interview with Ashley Northington, award-winning marketing communications professional and entrepreneur. Read Part 1 of Ashley's interview. She is the founder and agency director at DENOR Brands & Public Relations, a boutique public relations, digital marketing, and brand strategy firm in Nashville. She is also the founder of #LiveYourBrand, an online community for emerging and aspiring entrepreneurs who want to move beyond the ideation phase and take massive action to turn their business dream into a reality. 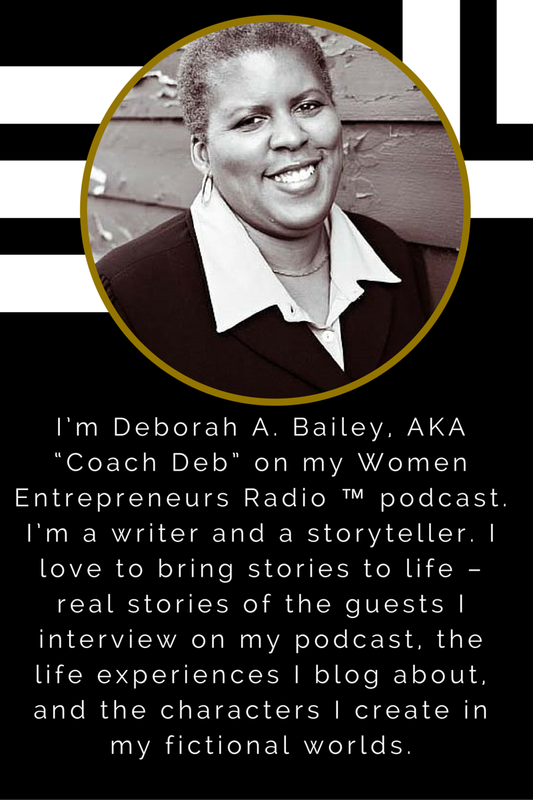 Deb Bailey: Who are your ideal clients? Ashley Northington: There are two sides of the DENOR house. First, there is DENOR Brands & Public Relations. We are a boutique public relations, digital marketing, and brand strategy agency based in Nashville. We work with established businesses, organizations, experts, and brands that are passionate about their business and are also committed to making the world a better place. Through engaging storytelling, dynamic visuals, and intentional, strategic action, we help brands increase their visibility and boost their bottom lines. Second, there is #LiveYourBrand, dedicated to helping emerging and aspiring entrepreneurs grow to wherever they want to go through strategic action, thoughtful conversations, and engaging live events. We create products and experiences for those folks who have been in business (or want to be in business) five years or less to conquer their overwhelm, beat procrastination, and be cured of the ‘Do Nothing Blues’ so that they move beyond the ideation phase and get into action. Deb: Of course, no entrepreneur can build a business without ups and downs. What are some of your successes and challenges? Ashley: This is tough. I think some of my successes have been to consistently and aggressively implement the vision I have for my business, and understanding when I need to pivot in order to grow. I think my biggest challenge has been pricing my services to maximize profit. This is not surprising, considering my history and deep struggle with value and the cost of services. Since I’ve gotten over that hump, my next hurdle is to make sure things are priced in a way that adds more value to my business. 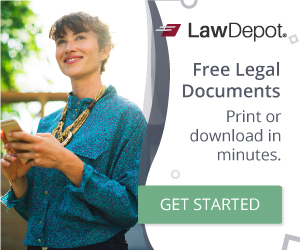 Another challenge I have experienced has been knowing when to get a divorce. When you work so closely with clients as my team and I do, it is like a marriage. It’s a real relationship that has ups and downs, highs and lows. Sometimes, despite everyone’s best intentions, the marriage suffers. It’s then up to the people involved to put in the work to make it thrive. Other times, the relationship is unsalvageable. The key is knowing when it’s time to put in more work and when it is time to move on. Early on I struggled with getting a ‘divorce’ from clients. Today, I’m pleased to report that I am an amazing divorcer! Deb: Seems like you've weathered the storms and continued to grow and evolve. That's important for businesses and for people as well. Looking at all of that, what inspires you to do the work you do? Ashley: I think what inspires me most are the troubles in the world, my beautiful, innocent nephews, and all of the children I serve in my volunteer roles. The world is filled with so much darkness. At times it seems that darkness is all around. One of my mentors once told me that if you close your eyes and all you see is dark, it is because YOU are meant to be the LIGHT. I took that to heart. When I worked in public education, the only thing I wanted to do was to ensure that more students had a chance at success. I did everything in my power as a reporter, a public servant, and passionate volunteer to ensure that happened. Even when I couldn’t offer much, I knew that my presence – just little people seeing people who look like me – was helpful and inspiring. And so, because I care so much about kids and making sure that they survive and thrive, I do my best to be the best role model I can. I show up when I am called upon and even when I am not. I serve whenever and wherever I can. I know I’m not perfect and I have many flaws, but with so much dark in the world I hope to be one of the lights for them. That is why I do what I do. Deb: That's very inspiring! So, what’s your vision for your business? Ashley: My goal is to create a company that not only makes money, but also makes a difference in the world. Through DENOR Brands & Public Relations, I hope to work with brands that we enjoy and that inspire others. We’re committed to working with people, brands, and organizations to tell stories that matter. Many of our clients have a social enterprise component and this is because we’re are serious about leaving the world better than how we inherited it. Our mission is to create stellar communication campaigns that inform and inspire the public to promote positive change. That’s what we’re all about. Through #LiveYourBrand, I want to change the trajectory of 1,500 would-be procrastinators who’ve come down with a severe case of the ‘Do Nothing Blues.’ I have met far too many would-be entrepreneurs and would-be leaders and would-be change agents who have amazing ideas, limitless potential, yet fail to act. Instead they become consumers and thinkers and dreamers, but they don’t become doers. It’s heartbreaking. Through the #LiveYourBrand signature podcast, personal brand class, vision and goal setting workshop, and virtual conference, we are committed to empowering and inspiring emerging and aspiring entrepreneurs to move beyond talking about their dreams to actually living them. We want them to walk their talk – not just talk it. Deb: Thanks so much for stopping by, Ashley. Please share your website and social media URLs. 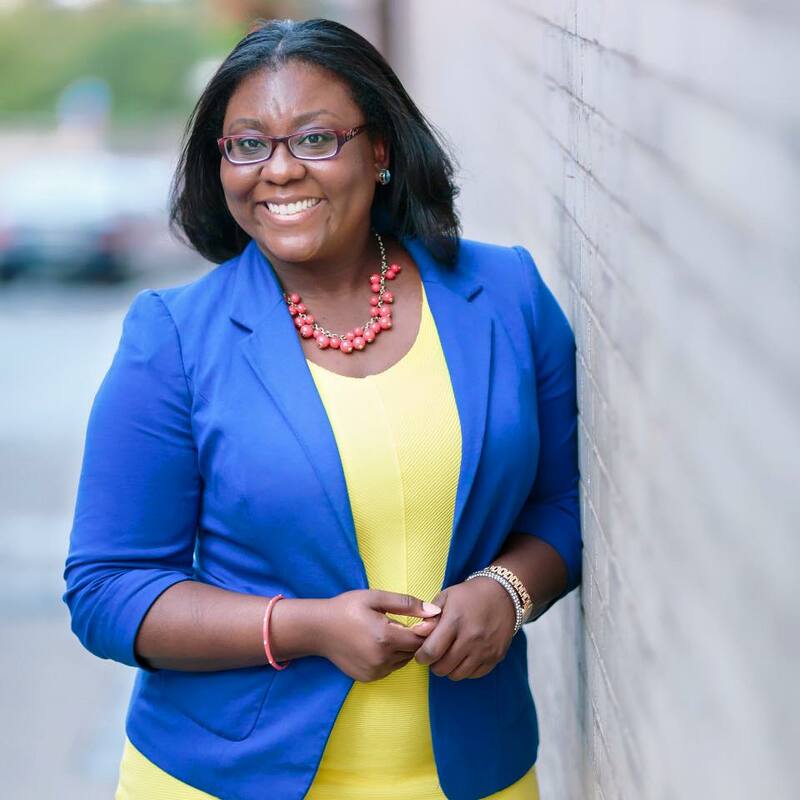 Ashley Northington is an award-winning marketing communications professional and entrepreneur. She is the founder and agency director at DENOR Brands & Public Relations, a boutique public relations, digital marketing, and brand strategy firm in Nashville. 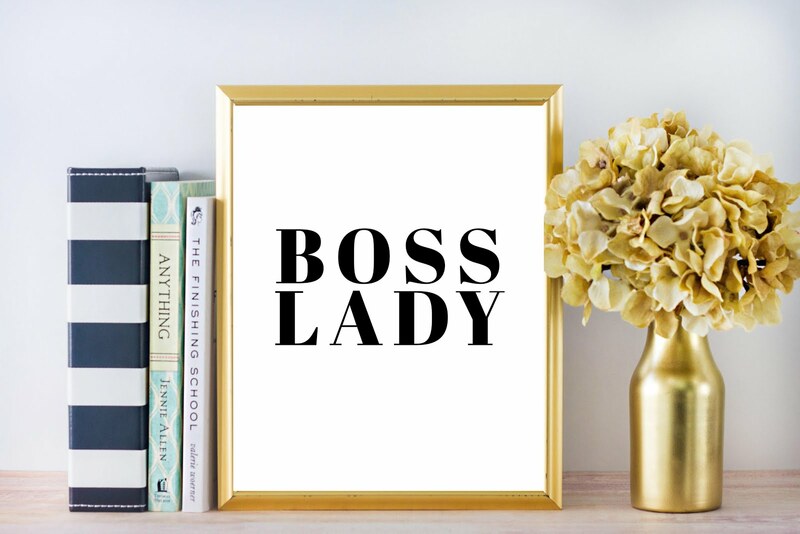 Ashley has been featured by numerous publications including The Entrepreneurial Mind, Tennessee Tribune, Tennessean, Pulling Purse Strings, Common Cents Radio, The Connect Magazine and more. Ashley is a proud graduate of Tennessee State University where she earned a Bachelor of Arts degree in English and a minor in women’s studies. She also earned a Master of Public Administration with concentrations in public policy and higher education from Louisiana State University. DENOR Brands & Public Relations is a team of people committed to finding new and exciting ways to communicate on behalf of people, brands, organizations and companies. We have more than a decade of experience in communications. Learn more about how we can help you increase your visibility and ultimately boost your revenue at denorbrands.com. #LiveYourBrand is dedicated to helping entrepreneurs grow to wherever they want to go through strategic action, thoughtful conversations, and engaging live events. Through its signature podcast, personal brand class, vision and goal setting workshop, and virtual conference, #LiveYourBrand is committed to empowering and inspiring emerging and aspiring entrepreneurs to move beyond talking about their dreams to actually living them. 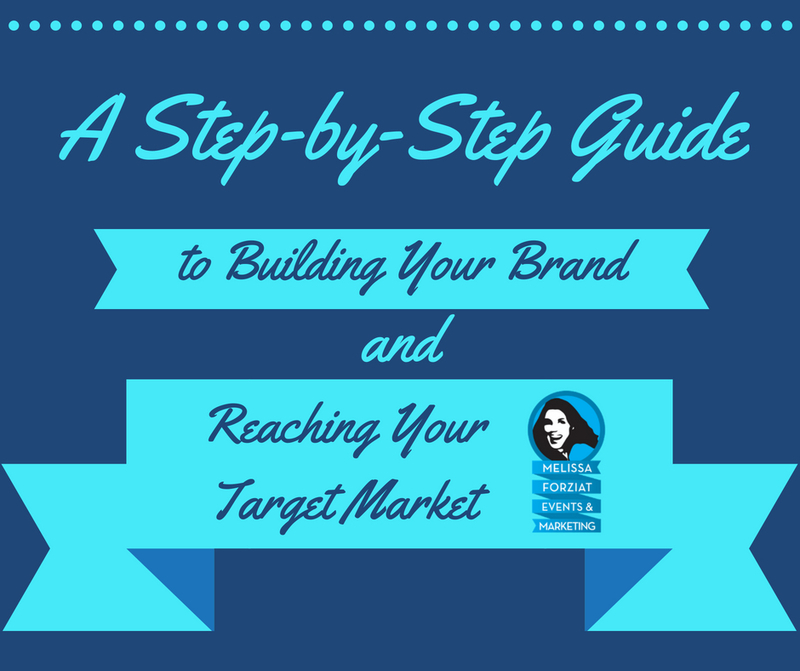 Learn more about how you can start living your brand at LiveYourBrand.co. 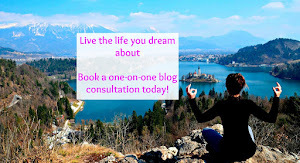 Learn more how you can turn your dream into a reality at DreamFestDigital.com. 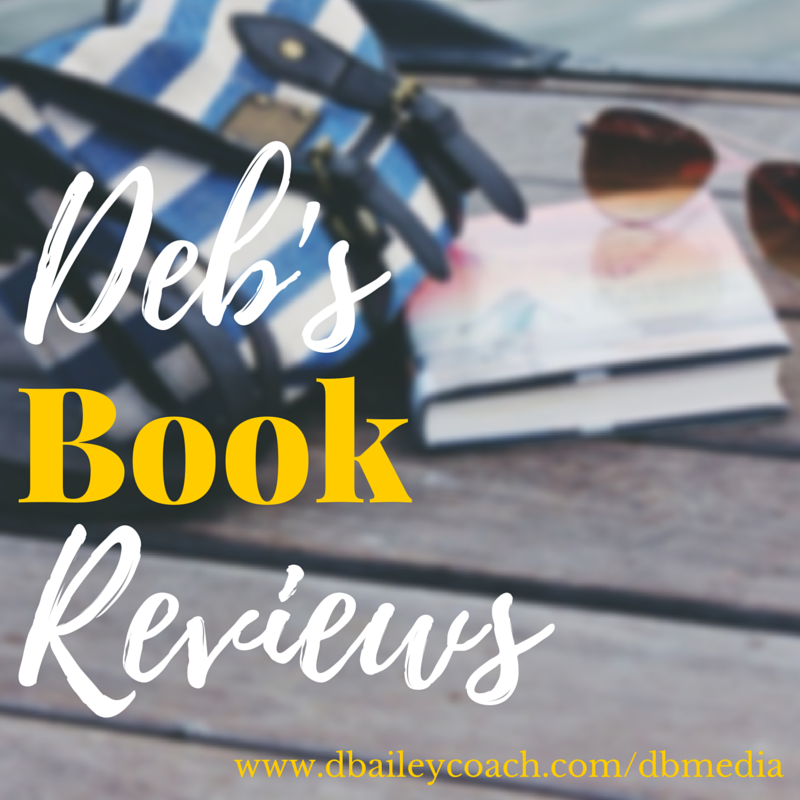 Deb Bailey: Welcome to the Secrets of Success blog, Ashley. Please share how you got started as an entrepreneur. Ashley Northington: Glad to be here, Deb. I started my business at the encouragement of my friend, Raymond, a fellow entrepreneur. He was gearing up to produce several live events and he thought my background as a communications professional would be perfect to help him promote his urban concert series. We did amazingly well. Together, we produced shows that brought in talent such as Kevin Hart, Erykah Badu, Monica, Mint Condition, Anthony Hamilton, Chrisette Michele, and many others. My work in media relations and brand management shined. I helped him sell out countless shows, and through strategic media placements and thoughtful social media strategy, we secured millions in brand impressions. Here’s the thing: I did all this work as a passion project, a hobby. I did not ask for payment and did not even think about payment. At the time, I worked a very demanding and very well paid fulltime job that paid my bills. Although my friend was ultimately very successful, I saw Raymond struggle a great deal trying to produce those live events. I looked at my work with him as pure fun. It was exciting. Plus, I felt I was helping him – it was like I was paying him back for everything he had done for me. It was he who helped me learn several valuable lessons about entrepreneurship – especially rebounding from failure, unyielding persistence, and determination to do a job well done. Eventually, others began to ask me if I could help them. It was at that point that I thought, ‘Oh! I can do this for other people – and get PAID to do it.’ Thus, DENOR was born on June 7, 2010. It wasn’t until about three years later, in 2013, where I began to wonder if I should try to make it on my own as a fulltime entrepreneur. I spent several months agonizing over what I should do. By this time, I had moved into another comfortable job, doing something I basically liked, but I was certainly not fulfilled. The way I saw it, I had three choices: 1) become a fulltime entrepreneur; 2) stay put; and 3) go get another job. Like I said, I internalized these three choices, but I did not make a move until I was sure I had done the right thing. And then, I didn’t even have to move. It just happened. The stars aligned and I became a fulltime entrepreneur. That decision has been one of the most painful and joyful decisions of my life. While I’m still striving for more success, I wouldn’t trade it for anything in the world. 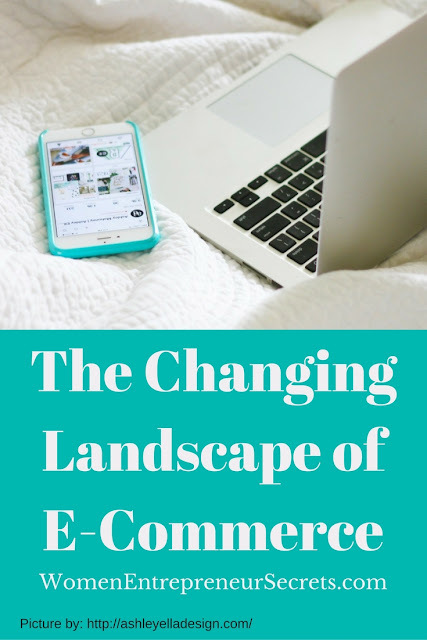 Ashley: I have learned several lessons through my own entrepreneurial process and through the processes of many of my clients and business friends. I think there are three that are most important: 1) It is not enough to just have an idea or plan, you have to implement it; 2) It is not enough to know what someone else charges or know what is standard in your industry, you have to understand brand positioning, demand, and your own unique worth; and 3) success is not reserved for those who know the most or look the best or know the most people; it is reserved for those who put the most focus on working for it consistently. It is reserved for those who can endure the wins of the process as well as the losses of the process - no matter how painful, embarrassing, or difficult. As it relates to implementation, I think many business owners or aspiring ones get caught in three traps. The first is the idea or plan trap. This is where we have so many ideas swirling around in our heads and so many plans that we cripple ourselves with thoughts instead of freeing our idea or plan with action. The second is the consumption trap. This is where we consume so much of other people’s content and we read so much about how to do things that we never actually get around to doing them. We voice what we are going to do, but we never really actually DO. And the last trap is the ‘changing courses’ trap. This happens when we have a plan, we’re on the path to implementation, and then something comes up and scares us – a customer gets mad, a vendor botches, or we run out of cash – and then we buckle. Instead of implementing the plan with fidelity, we let our insecurities consume us and we change directions, never allowing success to take root in the plan we initially set out to deliver. As it relates to value, I have had a long journey here, both professionally with my own company and socially through the experiences of my clients and friends. I am embarrassed to admit that when I first began pricing for my services that my monthly retainer was less than what I now charge per hour. People were getting thousands upon thousands of dollars worth of services, and I was getting pennies. I had a ‘generalist’ mindset, even though I was positioning my personal and business brands as ‘expert’ in my field. I wrongly thought that I could get more of the pie if I gave more and more. Of course, as I always say now, you do not get more of the pie by doing more; you get more of the pie by doing less. I did not know that then. I got less of the pie while I did more! I knew what others were charging and that excited me. I knew what was standard in the industry, but my insecurities led me to believe that – despite years of experience, a solid education, and actual results doing the work – I was not worthy or good enough to charge those rates. It wasn’t until after I jumped fulltime into entrepreneurship and after I had gone through my savings that it hit me: I have tremendous value and I bring that value to the table and people need to pay me for it. And lastly, as it relates to success, I have learned that success is not reserved for those who, on paper, are most destined to have it. I had this foolish belief that because I had earned bachelors and master’s degrees (which, by the way, benefit me each day) and because I had worked in jobs that many deem ‘important’ and because I had connections to leaders, that I was just guaranteed to be successful. I was annoyed when I experienced setbacks and I was easily frustrated when things weren’t working out how I had intended. I knew I would have to work hard, of course. But I didn’t expect to fail so much and to sacrifice so much and to feel guilty so much. This is the game of entrepreneurship – especially in the early stages. It is a constant process of being selfish and feeling guilty and feeling deprived and feeling like you are missing out. It is a constant test of being comfortable with the uncomfortable. It is not all four-hour work weeks, and sipping margaritas on the beach, and instant social media success, and 6-figure paychecks in two weeks. Once I learned that success isn’t reserved for folks ‘like me,’ I put a serious plan in place and I began working it with fidelity. It’s a process. I’m going to be sharing more on embracing the process – no matter what – in November during DreamFest Digital, a virtual conference my agency is hosting for emerging and aspiring entrepreneurs. We've got more to share from Ashley. Read Part 2 of How She Does It with Ashley Northington of DENOR Brands & Public Relations. 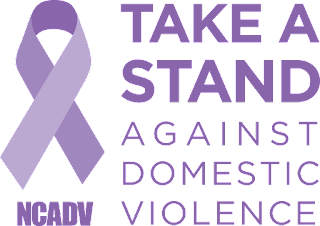 Victims of domestic violence do not bring violence upon themselves, they do not always lack self-confidence, nor are they just as abusive as the abuser. Violence in relationships occurs when one person feels entitled to power and control over their partner and chooses to use abuse to gain and maintain that control. 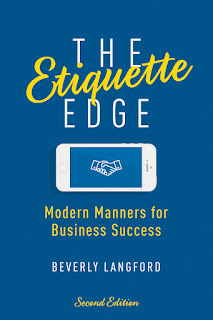 On the surface of the contemporary working world, etiquette might seem passé. Business casual dress slides closer and closer to casual. As organizations shrink, so does the distance (and formality) between the highest-ranking leaders and their entry-level employees. The use of social media encourages everyone to be more open. 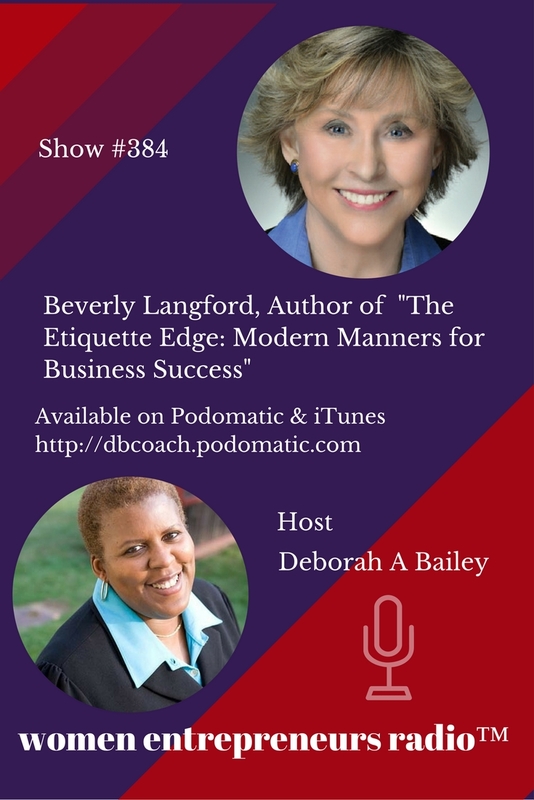 None of these realities have eliminated the need for business etiquette. They’ve simply added nuance, and new avenues for making a good impression—or a bad one. 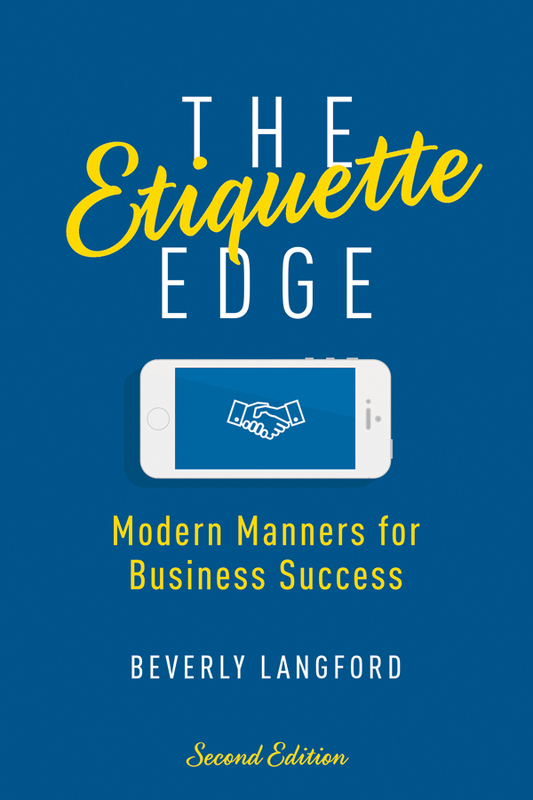 In THE ETIQUETTE EDGE: Modern Manners for Business Success author Beverly Langford demonstrates the career-enhancing power of masterful manners, from job interviews to workplace life to the virtual world and beyond. 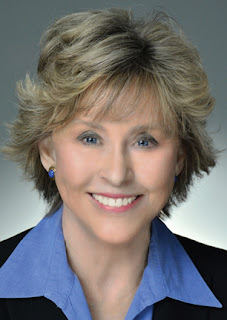 In addition, Dr. Langford, a Clinical Assistant Professor, has taught leadership communication to graduate students at Georgia State University’s Robinson College of Business for many years, teaching in the MBA, Professional MBA, and Global Partners MBA programs. In 2005 I was a corporate employee. Then, in the fall of that year, I was a business owner. It was something I'd dreamed about since I'd left high school, but back in the day entrepreneurship wasn't the thing. I didn't know anyone to model and wasn't sure what to do. So, when I graduated from college, I went into the fashion industry. That was fun, but the pay wasn't the best. Eventually after many lay-offs, I changed careers. I became a computer programmer and ultimately got a job at AT&T. For a lot of years I lived the corporate lifestyle. Better pay, long hours and the belief that I would have job security. That "security" ended several years later. That's when the world changed and I realized that the future was going to be a lot different. Job security was going away. That's when I revived my old dream of being a business owner. That's when I made the decision. Business ownership has many challenges. I'm not going to pretend it doesn't. But there's also excitement and the potential to create something new. The sky can be the limit. 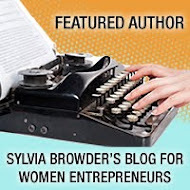 I think that women have embraced entrepreneurship because they're tired of the limitations of the glass ceiling. They want to bring better things into the world. They want to make opportunities for others - for their families and their communities. 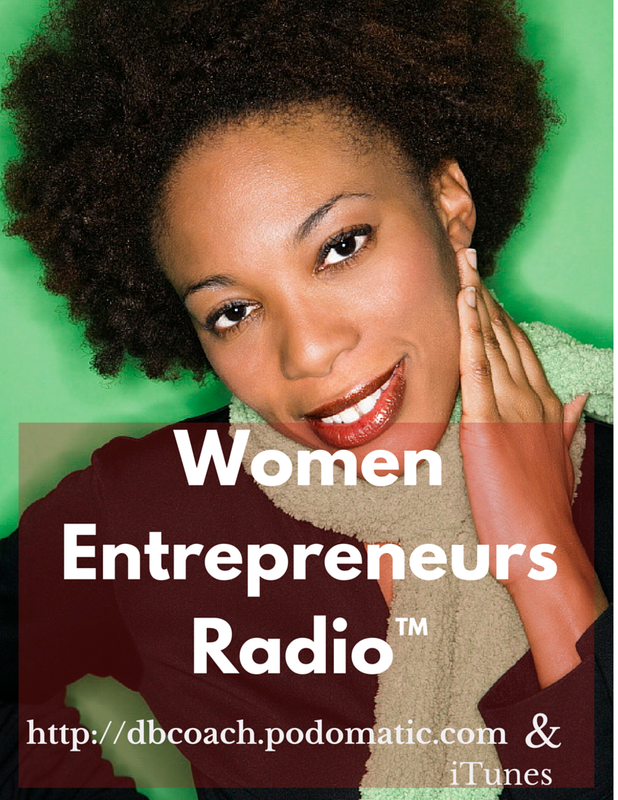 That's why I created the Secrets of Success blog and why I created Women Entrepreneurs Radio™. I wanted to talk to other women with dreams and desires for more. To do more and to be more. To grow beyond the limitations that too many workplaces put on us. We want to design our lives and make a better world. In spite of the gender gaps, the differences in funding, the gatekeepers that try to stand in our way -- we can do it. We can make a difference. Let's commit to make a difference and use our ideas and our inventions and our dreams to make a better world.